Lindsey Van, U.S. Ski Jumper who cannot compete in the Winter Games; she's a woman ski jumper. The Winter Olympics are underway. Even more than the Summer Games, sports played on ice and snow turn out to be male dominated. Women have fought for recognition since the first Winter Olympics in 1924; in those games, women were confined to figure skating events and represented just 4.3 percent of participants. By 2014, women comprised 40.3 percent of competitors overall. Yes, change is happening, albeit gradually. So let's start by exploring how women were only recently allowed to compete in ski jumping at the Olympic Games – in 2014, and still aren't permitted to compete in Nordic Combined – ski jumping + cross-country. In the 2022 games, they will compete in Nordic Combined, according to this story – "The Winter Olympics: Where Women Are Slowly Gaining Ground" – since the men who run Nordic sports told women they'd have to wait. Something about what's involved in adding a "new" sport, though, of course, this isn't a new sport, just a new gender doing it. All of the excuses, Lindsey Van, who holds the record for longest jump by male and female competitors, isn't buying. After all, she's gone to court to try to be allowed to compete. 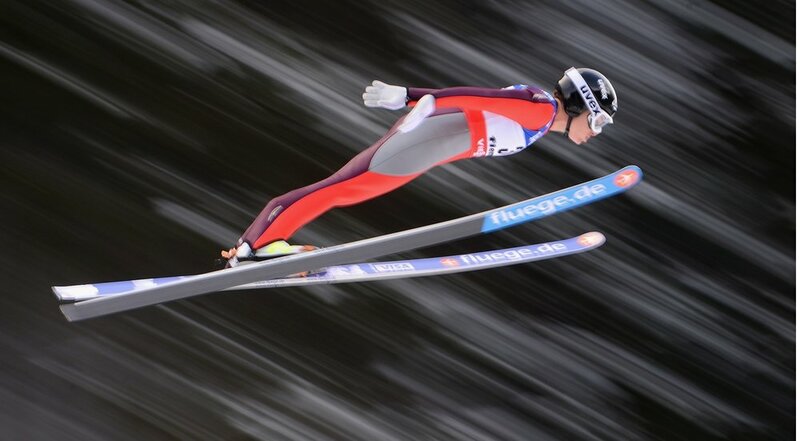 Last weekend, The New York Times magazine featured women and ski jumping in this story – "Once Prohibited, Women’s Ski Jumping Is Set to Take Flight." Next up – the bobsled. The four-man sled had its first runs at the first Winter Olympic Games in 1924; the two-man version eight years later. Women weren't allowed to compete for another 70 years, in 2002, with the two-woman sled. In these Olympics, Jamaica and Nigeria will have female bobsledders competing. 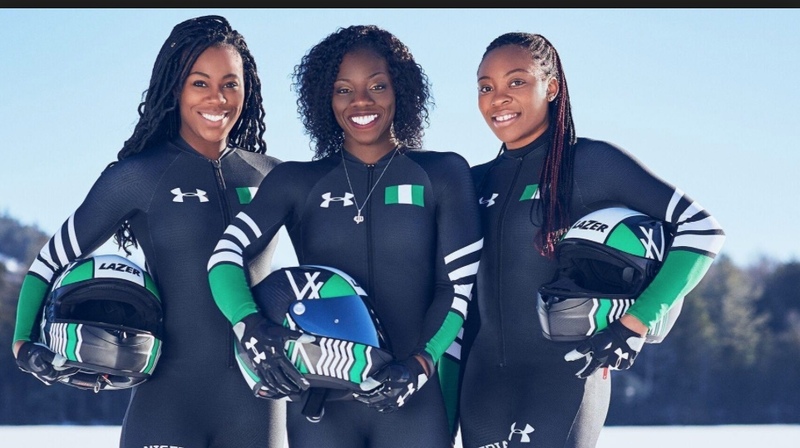 The women representing Nigeria, all raised in the U.S., will mark another first – until now, no African country has sent bobsledders of either gender to compete in the Winter Olympics. Nigerian Women's Bobsled team members. in their "Compete Like a Woman" newsletter, Ambassador Melanne Verveer and Kim Azzarelli, co-authors of the best-selling book Fast Forward: How Women Can Achieve Power and Purpose, give all sorts of reasons why girls ought to be involved in sports – from an early age. Leadership skills. Confidence. Empowerment. A sense of knowing they can do what they never thought they could. And so the world will know that uteruses don't fall from the sky when women ski jump.